Equipped with clean air saws, electric saws, and hand saws, Reliable Hauling is well prepared to complete any asphalt, concrete, and masonry cutting. 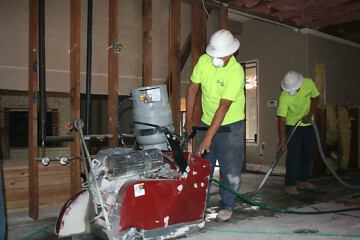 Reliable Demolition & Hauling is a family owned and operated company. Our mission is to provide each customer with quality and efficient service. We will do whatever it takes to exceed our customer's expectations and establish a lasting relationship. We have done business with Reliable Hauling since the inception of their company. Their ability to meet budget, communicate, and complete work on time is impeccable. They have surpassed the expectation of our company's standards and have proven to be the best vendor in their line of work. Reliable Hauling has created ease, and finished work in a prompt manner, allowing my company to finish rehab projects in a faster and safer environment. The employees with Reliable Hauling are knowledgeable, considerate, and professional. I trust them to handle any job, large or small; I know it will be completed. Reliable Hauling can be counted on to deliver the job on time and as promised. Their services are provided in a very professional manner. On many occasions I have called on them with very little notice and they have performed every time. Dealing with them is what I would call “painless” and they always put forth extra effort to make sure that things go smoothly. The difference maker for me has always been the excellent communications, can-do attitude, and dependability Mark and Matt bring with them to work every day. Please keep up the good work. We depend on you. I would like to personally recommend Jon Hall and his team at Reliable Hauling, Inc., for all facets of hard and soft demolition. I have known Jon for years and we have had the pleasure of working with him on roughly 100 projects. With regard to Reliable’s qualifications, they have extensive experience and have handled small and large, as well as simple and complex projects for us with consistent professionalism. On any project, the subcontractors who work for us represent our company. Jon’s teams have a “can do” attitude and a solid work ethic. This, more than any other reason, is why they earn our business over and over. 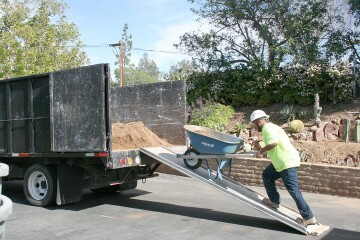 As a General Contractor, we use Reliable Hauling, Inc. as often as possible. Their crews are timely, fast, and professional. 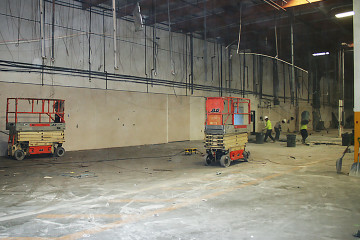 Demolition is messy but they always manage to leave each jobsite spotless. We couldn't be more satisfied and highly recommend them.